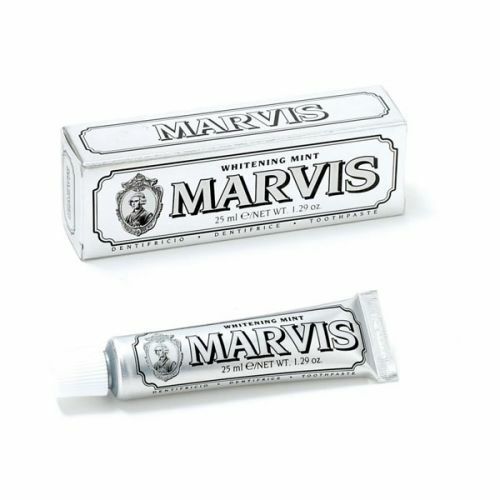 Blending both hot and cold flavours, the Marvis Travel Ginger Mint Toothpaste has been designed to come anywhere with you. Presented in a compact tube, it's unique formula pairs refreshing mint with spicy ginger tones to invigorate your gums and entire mouth. Taking your mind back to more exotic excursions, the unique creamy blend uses a powerful formula that effectively manages to fight tooth decay and effectively remove plaque. Taking you one step closer to the dazzling smile you've always dreamt of, every protective drop has been made in Italy and is gluten, paraben and cruelty-free while also being 100% vegan. Ginger Mint combines the warm notes of Ginger with fresh Mint to create a subtly spicy sensation. Marvis toothpastes combine a mint base with interesting flavours to give a long lasting pleasurable taste sensation. The formula containing Fluoride helps prevent tooth decay, fights tartar and plaque and keeps breath fresh all day long. 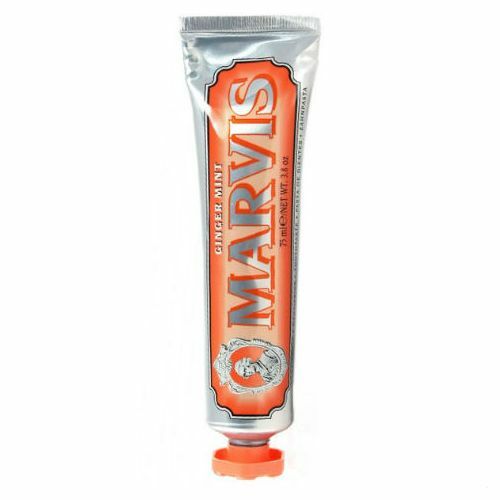 And not only does Marvis clean and protect teeth and taste terrific but it even looks great in its luxuriously colourful tube.